Letzten Freitag war es soweit und die NFC Blogger Rallye, ein gemeinsames Projekt von Tupalo.com und Nokia, fand in Wien statt. 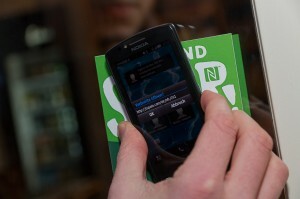 Während Nokia sich um die technische Ausstattung der TeilnehmerInnen kümmerte, lag Tupalo.com’s Expertise ganz klar in der Auswahl spannender, witziger, geheimtipp-iger und hipper Locations, die mithilfe der NFC Technologies aufgespürt werden mussten. Rotterdam, December 1, 2011 – Tupalo.com, Europe’s leading social local search community, announces its official launch in Rotterdam today. Finding, sharing and reviewing local businesses – restaurants, cafes, bars, car repairs, doctors, whatever you want – has never been easier. With this launch, Tupalo.com is taking yet another giant step in its international expansion as it becomes a trusted advisor to Rotterdam’s locals and visitors alike. The Netherlands represent a key geography in Tupalo.com’s international expansion, which is why it has partnered with De Telefoongids, a dynamic company that shares its core values and vision. Tupalo.com is committed to an organic, all-inclusive approach, and looks forward to forging positive relationships with users, consumers, businesses and other partners throughout The Netherlands. Tupalo.com is not, however, entering this new stage empty handed. 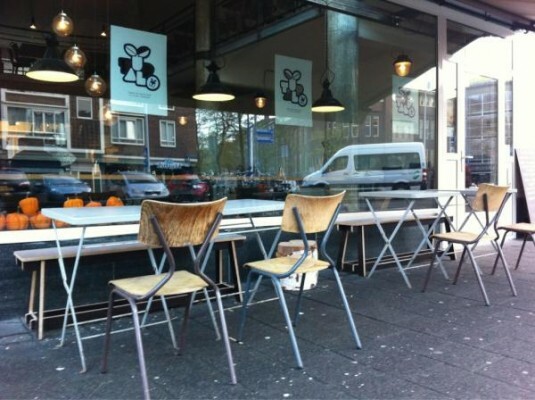 The platform already has thousands of reviews about local businesses in Rotterdam, and is visited by more than half a million Dutch users each month. This launch represents a key milestone for Tupalo.com; yet there is a lot more in store for Rotterdam and the Netherlands as a whole. Immediate plans for the coming months are to strengthen the community in Rotterdam and to continue establishing Tupalo.com as the trusted advisor in the area of social local search throughout the Netherlands. Tupalo.com’s Clemens for online president! 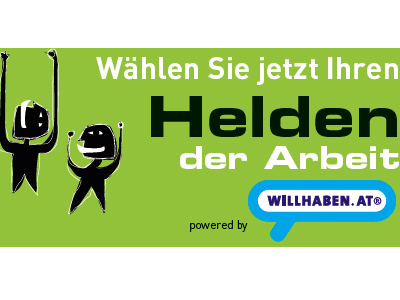 Werbeplanung.at (magazine for digital marketing) and Update organize the seventh edition of their “Helden der Arbeit” in the online world. This year, our own Clemens Beer is nominated! Clemens, being co-founder of Tupalo.com, is nominated in the category “Medienmacher” (media maker). Voting starts tomorrow, the 1st of december, and ends the 31st of december. We keep our fingers crossed! 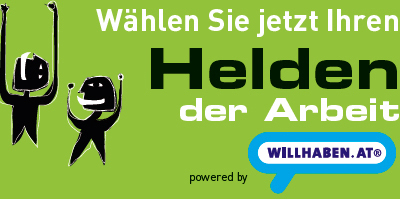 50 “Helden der Arbeit” in der Onlinewelt haben es auf die Nominierungsliste bei der Wahl zum Onliner des Jahres geschafft, die zum bereits siebenten Mal von werbeplanung.at und UPDATE veranstaltet wird. Aber dieses Jahr ist alles anders. Denn Clemens Beer, seines Zeichens Co-Founder von Tupalo.com, hat es in der Kategorie “Medienmacher” auf die Liste geschafft. Vom 1. bis 31 Dezember kann gevotet werden und wir drücken ihm selbstverständlich die Daumen! Paris, September 8th, 2011 – Without doubt there are many gourmands, party people and beauty queens to be found in the French population. But where in urban France do most of them live? The Tupalo.com Team has had some fun and done some investigation based on its data to find out a little more about French cities and their inhabitants. Tupalo.com is a Social Search Community visited by millions of people each months, who are looking to give and get recommendations on their favorite businesses in their local communities. In France Tupalo.com has already found many fans and supporters, especially in the French urban areas. Without doubt France is known for its extravagant way of life and so the Tupalo.com team has played around with some data and compared the density of businesses in the categories restaurants, night life and beauty in the five largest French cities Paris, Marseille, Lyon, Toulouse and Nice. All over the world people people swarm to French restaurant if they are looking for a night out with fancy food and classy touch. The high restaurant density per inhabitant in French cities is thus not surprising. But where is the food lovers’ French capital? According to Tupalo.com it’s in Lyon, where most restaurants per inhabitant are. On the party side, nightlife in Toulouse cannot be beaten and it is not surprising that Nice, famous for its extravagant lifestyle, is the French beauty capital with 314 beauty spots. Although in total numbers Paris overtakes all the other cities, it doesn’t win in any of the lifestyle categories when population size is taken into consideration. Despite the great results for the smaller urban areas, quality obviously still beats quantity and so checking the reviews on Tupalo.com might be a good idea, when looking for a great place to go or business to try given the big choice in the French urban areas! Wien, 2. September 2011 – Am 23. September ist es so weit! Die Kaiserwiese wird für zehn Tage zur Wiener Wiesn. Die Tupalo.com User sind selbstverständlich live dabei und so gibt es im Zeitraum zwischen dem 1. und 23. September einen VIP Besuch auf der Wiener Wiesn auf Tupalo.com zu gewinnen. Das neue Tupalo.com Feature ‘Challenges’ ist dabei zum ersten Mal im Einsatz und macht so das Bewerten auf der Plattform noch unterhaltsamer. Tupalo.com bringt seine UserInnen in den Wochen vor der Wiener Wiesn in rot-weiß-rote Zeltfeststimmung und verlost als Höhepunkt drei Tische mit VIP Service im Kaiserzelt inklusive Catering und Fahrt mit dem Wiener Riesenrad für den 28. September. Doch so ein Wiesn Besuch erfordert natürlich Vorbereitung: Um teilzunehmen müssen UserInnen im Zeitraum zwischen 1. und 22. September Bewertungen zu Lokalen aus der Kategorie Bierlokal Wien schreiben – denn nur die wahren BierkennerInnen haben den VIP Status auf der Wiener Wiesn verdient! Am 23. September ist es dann soweit und die 3 aktivsten ReviewerInnen werden verkündet. Dank des Challenge Features ist der Wettbewerb transparent und UserInnen können zu jeder Zeit abfragen, wo sie im Rennen um die Wiener Wiesn Tische stehen. Vienna, August 22, 2011 – Tupalo.com, the leading European local search community, launched its newly designed page today. With its new look and feel the site offers a new level of user experience that will surely resonate with the 4 million people visiting the site on a monthly basis. The new lightweight design is an overall improvement, meaning faster loading pages which are much cleaner and more user-friendly, making relevant business information immediately available to all visitors at a glance. “In supporting our massive growth over the last few years, we have constantly looked at ways to improve the user-experience of Tupalo.com and are excited to rollout the largest update to the site since Summer of 2010”, says Mike Borras, cofounder of Tupalo.com. Tupalo.com continues to offer visitors a powerful local search community, helping locals and travelers alike discover the best in local businesses, whether they’re searching for restaurants in New York or nightlife in Los Angeles.